Sixteen-year-old Karen Stewartson is proud of her ability to keep her emotions in check. 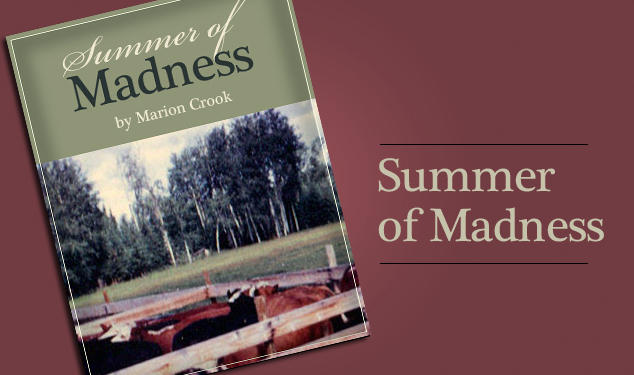 Common sense and reason are the keys to getting through life, especially this summer when her mother is away and Karen takes on extra responsibilities on the family cattle ranch in the Cariboo country of British Columbia. Even Kevin, who has known her forever, cannot break through the wall of self-control Karen has built around herself. But this summer, someone begins to poison the livestock and events spiral out of control. Karen’s belief in herself crumbles as she struggles to keep a tight rein on her emotions. Without anger, hate or even love, can she really be as mature as she has always thought?